Virtually, there has been a lifetime since the Casa Cautino, the governor’s mansion of Guyama, or the luxury of Longue Vue House was last rezzed in SL. 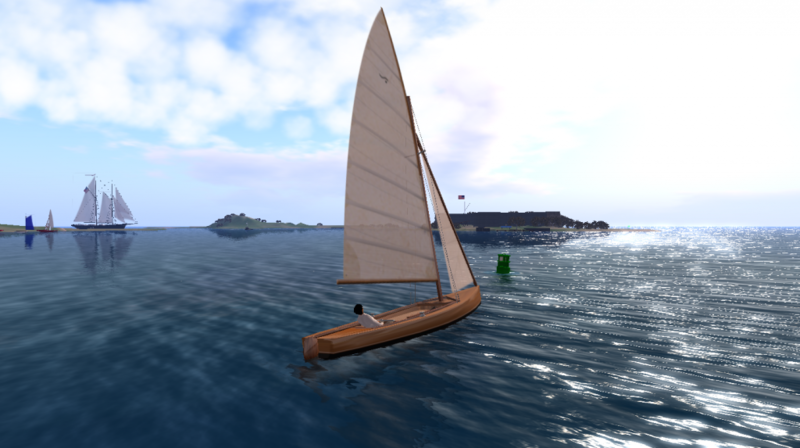 These originally were located on a single sim of their own, now with parts and pieces scattered about the harbour of St. Charles in Second Life. The Casa was a test rez, now packaged into a rezzor and can be re-deployed on demand, and now work begins to create the Longue Vue sim in a single rezzor, all the while reducing the prim count using current technology available (Convex Hull prims). Hello and welcome to newbie Sunday, part of the ongoing effort to make it easy to get help for new users in the Kingdom of DeMolay grid. 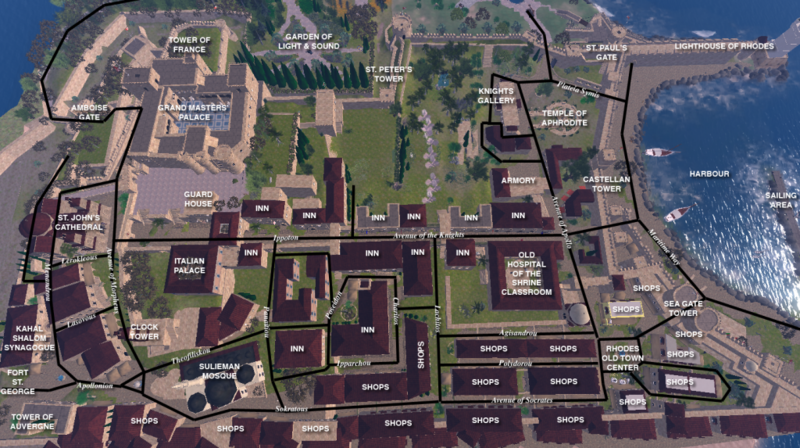 This virtual world is based on OpenSim which is an open source computer application for hosting Massive Multiuser Online communities. What I like about the Kingdom is the experiences are many and varied, with attention to detail given in the showcase mainland sims. Last night I spent a bit of time wandering the streets of Virtual Rhodes in the Kingdom of DeMolay, taking some photos of the Amboise Gate, at the Western entrance to the Grand Masters’ Palace, where some work was going on in the tunnels (shh!) under the Tower of France. A secret room was added to the lowest levels of the Palace, amidst the labyrinth of catacombs, and a myst-like puzzle level will be found in an even lower sub-level for explorers to discover!